Jeep News, Parts Reviews, and Trail Views. Autoblog.com is one of my favorite websites for automotive news and reviews. 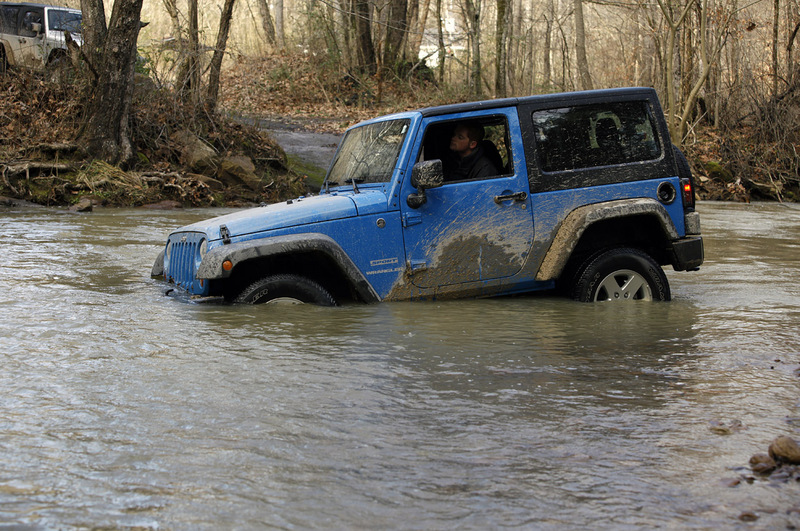 Their staff may not have any experienced off-roaders, but that doesn't mean they can't write a very entertaining review of the 2012 Jeep Wrangler Sport. Follow the link to view a couple short video clips of their real-world off-road test of the Jeep at the Coal Creek OHV Area. The Wrangler remains one of the most capable off-road machines money can buy straight from the factory, and years of abuse, research and development from Jeep loyalists and engineers have turned it into a turn-key trail boss. Make no mistake, this is quite possibly the best vehicle produced by an American manufacturer today. It excels at its given purpose in a way that's simply unparalleled by other products. In a way, Chrysler has managed to execute a very Porsche-like development philosophy with the Wrangler. The iteration we see today is the culmination of decades of evolution instead of pathetic niche filling. This is the 911 of the off-road world, and its showroom capability is a testament to what Chrysler has accomplished. Even with 3.21 gears and open differentials on both ends, the Wrangler Sport is an unstoppable force of nature and a suitable heir to the throne. With the base model so capable right out of the box, imagine their opinion of the Wrangler's off-road ability if they had driven a Rubicon model! At least they proved that even the Sport model is a true off-road vehicle. Established in 2013 to provide exciting, effective design solutions. Since its inception, Globalwebsolution has grown considerably into a recognised brand design and digital marketing innovator. Rewarding our clients with compelling visual solutions that create value and recognition in their marketplace. Our Strategic approach to visual excellence and digital. Awesome is the most appropriate word to portray this blog. Aftermarket Wheels or OEM Wheels with Spacers?